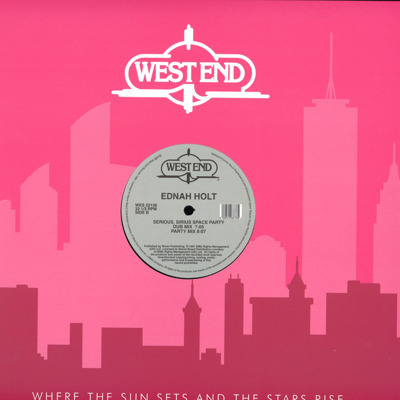 NYC's Disco powerhouse West End Records should need no intro. 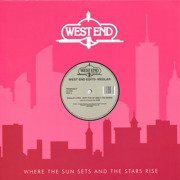 The home of too-numerous-to-list club classics for over 30+ years is still impacting today on what we know to be club culture. 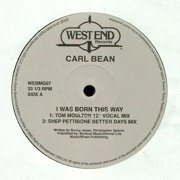 The label started by one Mel Cheren (RIP) with assistance from Larry Levan and more way back in 1976 is still held in such high regard today with it's catalogue constantly being played, rediscovered, reinterpreted and loved by waves and waves of new fans and admirers. 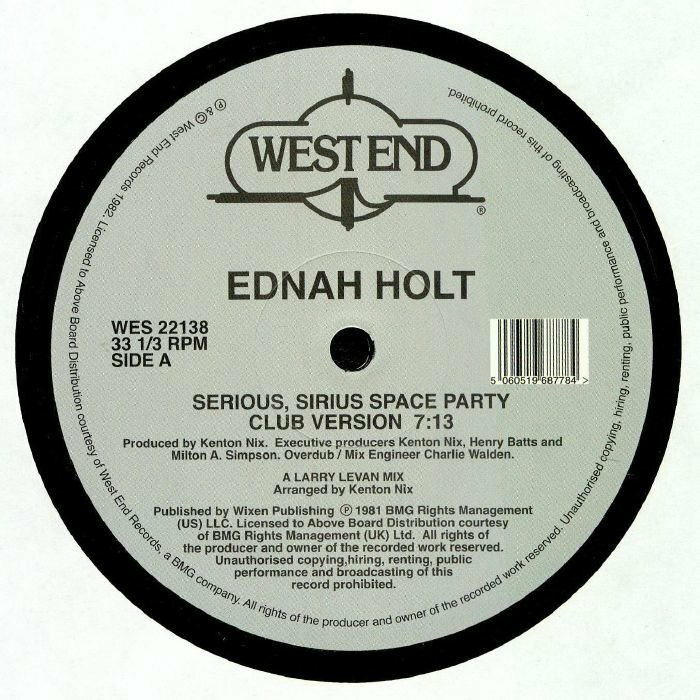 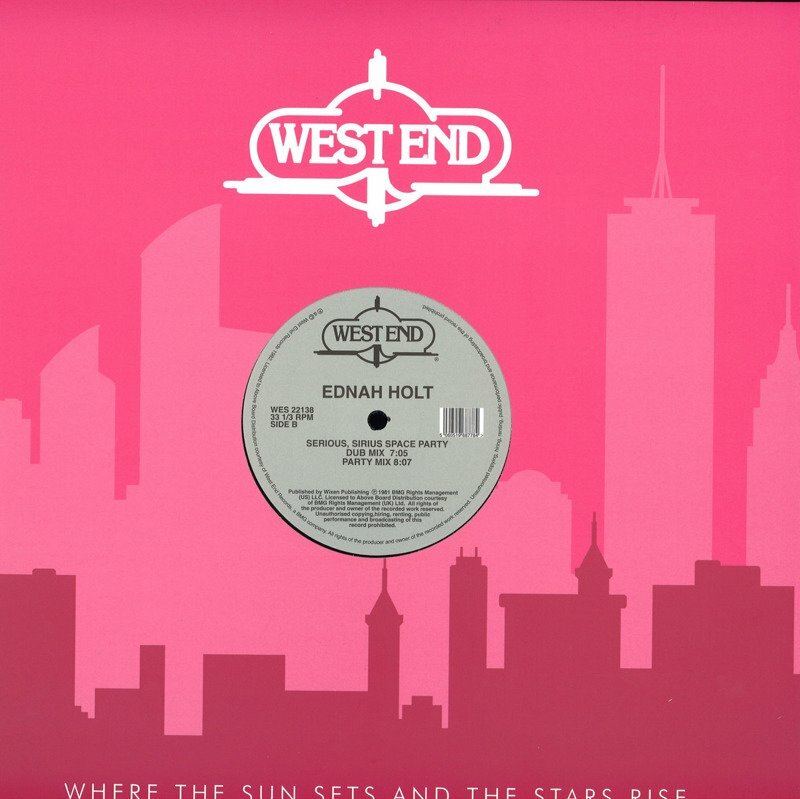 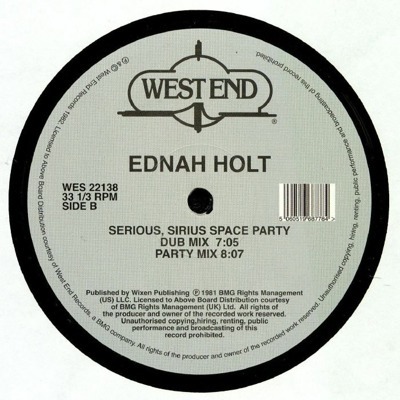 From the West End vaults we are pleased to present Ednah Holt's 'Serious, Sirius Space Party', a thundering, slo-mo, bass-heavy slab of NYC electronic funk that will sound familiar to those who paid close attention to what the maestro Larry Levan was doing in his sacred booth at the Garage in 1981, or to those who tuned in to peep what the master Afrika Islam was doing on his now semi-religious, hip-hop blueprint 'Zulu Beat Show' on WHBI. 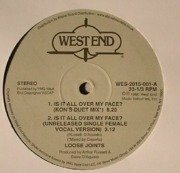 That's right, you can guarantee if those 2 guys were playing your record in the city at the same time then you had an underground 'hit' on your hands. 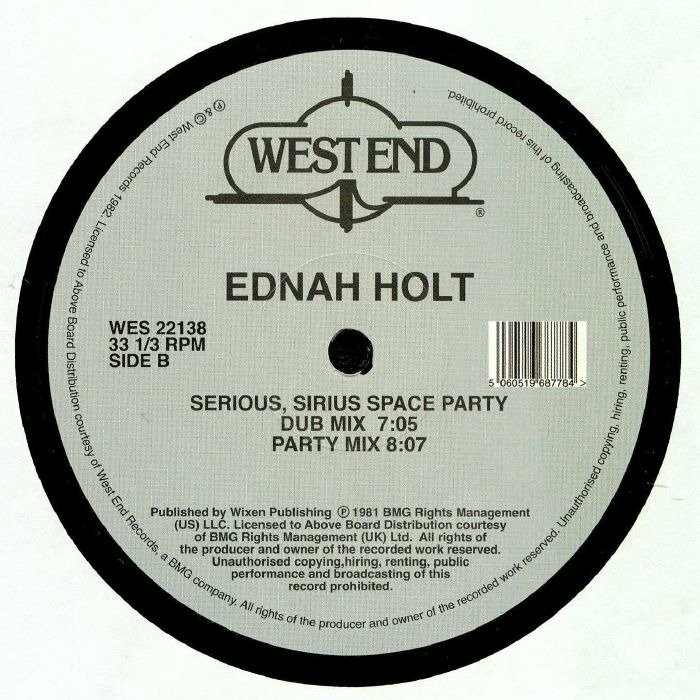 The fact that it crossed over from the discotheques to the streets and back again speaks of the appeal of this super heavyweight jam, the legendary team up of Kenton 'Kenix' Nix, Larry himself on the mix, and former Ritchie Family vocalist Ednah Holt makes for some heady listening. 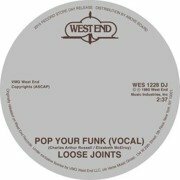 One for the after hours dancers, B-Boys and B-Girls and lovers of the downtempo workout. 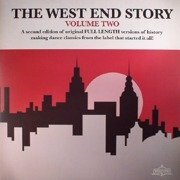 A true and essential NYC classic. 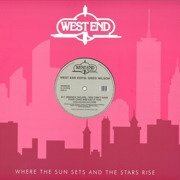 All tracks featured re-mastered, re-pressed and re-released with the permission of and in conjunction with West End Records, New York City / BMG.